You are busy and sometimes you do not know when you are going to need to see a doctor. We provide walk in services for you. Your health is important to us and we want you to visit the clinic when you need a doctor. When you visit our practice at 1515 Commercial Drive you open the door to an entirely new and different medical practice experience. That is how you will feel when you visit one of our doctors at our clinic in the heart of the cultural diversity known simply by the local community as The Drive. We are part of the community. The clinic has a professional and supportive staff to see to your needs. We use state of the art Electronic Medical records to support and protect your health and your confidential health care information. We are not far from the Vancouver General Hospital. There are allied health and pharmacy services adjacent to the clinic, and specialists for your referrals.The clinic is open Monday through Saturday. Visit us for your health care needs, drop by to meet the staff, and experience the caring attitude you deserve from your health care provider. 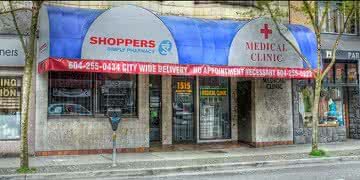 Commercial Drive Medical Clinic is a full-service family practice and walk in clinic. We deliver patient care and related health care services in a courteous and efficient manner with the view to providing each patient the deserved care and attention required to meet their health care needs. We have a professional and caring staff to support our physicians and patients. We offer family practice and walk in service. Our goal is to bring the community we serve the care the individual needs in a pleasant clinic environment served by willing and supportive professional physician group and staff.